7/10/17----PETITION CLOSED--Biergarden Plans are currently in revision by AB InBev/Golden Road for resubmission to City of Oakland. If you wish to be notified by Oakland City Planner Rebecca Lind when the plans are resubmitted, email her directly to be put on the list: rlind@oaklandnet.com. After plans are re-submitted, that there is an up to 30 day period for the city to review and ensure plans are complete.. Following that, city will post a notice on the property with another 17 day comment period, essentially resetting the clock on comments on the plans and city review. Contact Temescal Friends to organize: temescalfriends@gmail.com. UPDATE 7/10/17: Golden Road/AB InBev is presenting updated plans at the Temescal Neighborhood Meeting, Wed July 19, 6-7:30 pm. Show up, voice your concerns and be informed! 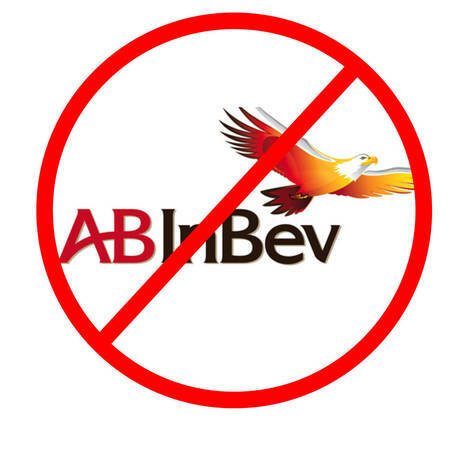 Anheuser Busch InBev is proposing a 7000 square foot beer manufacturing facility and beer garden on 40th street near Broadway in North Oakland called "Golden Road". As residents of the neighborhoods surrounding the proposed beer garden, we would be directly affected by the noise, traffic, parking issues and potential problems caused by this business. Please support us with your signature in commenting on the plans and questioning whether Golden Road is a good fit for the location and neighborhood. 150 signatures were submitted to City Planner Rebecca Lind on Monday 4/3. We will continue to collect signatures and comments to present to city officials. Want to help us organize? Please email temescalfriends@gmail.com! We the undersigned are writing in comment on the proposed 7000 square foot beer house and manufacturing facility made from shipping containers to be built at 320, 322 and (330--address in question) 40th Street, case file # PLN17004. Residents surrounding the site would have noise entering their homes from the business. A 6 foot surrounding wooden fence and a 3.5 foot “transparent barrier” proposed in the front of the business are not sufficient to block noise from the street or nearby homes. If the business features live/amplified music, or large screen televisions, the noise will carry into the homes, backyards and windows of nearby residents, along with sounds of loud conversations. There is no effort in the design to mitigate noise. Based upon experiences of residents in the area, customers will likely be lingering and talking loudly on the sidewalk late at night . The proposed hours of operation are from 7am-1am Sun-Wed 7am-2am Th-Sat meaning that noise of operations will be occur up to 19 hours per day. The business would generate large quantities of recyclables and garbage. The noise of garbage trucks and trash, bottles and cans being dumped in early morning hours will create a near 24-hour generation of noise. Finally, how would cleaning be performed? With leaf blowers, or other loud machines? This adds to the noise level. The business is requesting a waiver of the 5-parking space requirement. Parking is already scarce due to Kaiser Permanente and businesses located on 40th and on Broadway. Valet parking would not work on 40th street due to the bus stop in front of the proposed site. Patrons driving around looking for parking will add to traffic congestion, pollution and noise. Drivers who may be inebriated may increase accidents on 40th street and on Broadway. The intersections of 40th and Broadway and of 40th and Manila are already the sites of frequent accidents. There is a bus stop directly in front of the location of the proposed business. What will prevent drivers from dropping off and picking up patrons at the bus stop, interfering with the operation of city bus lines? FUTURE RESIDENTS: A 47-unit condo structure is being built less than 100 yards away, overlooking the site. Its future residents will also be affected by the noise, parking, and traffic issues. ODOR: The manufacturing facility will most likely produce a strong smell. What efforts, if any, will be made to mitigate the effect of the smell on nearby residents? ALCOHOL CONTROL: A large business producing/serving mainly alcohol will affect quality of life in the neighborhood. Litter, loitering and public inebriation will most likely increase. Possibly, patrons may use the surrounding areas as toilets. The bus stop in front of the site is a major bus transfer point for Oakland Tech High School students. Given the low fence height and outdoor alcohol consumption, what security will be in place and what efforts will be made to prevent underage students from entering the business? NOT LOCALLY OWNED: The facility will be designed, built and managed by a major corporation, Anhauser Busch. Our city is already gentrifying quickly. All the businesses in the block surrounding the proposed beer manufacturing facility are locally owned. Introduction of a corporate-owned business will change the neighborhood. It is out of place in this environment. OUR REQUEST: We request that the City of Oakland and the developer hold a well-publicized community hearing at a time and location convenient to residents of the neighborhood--perhaps in a room at Kaiser Permanente Fabiola or 3600 Broadway, both of which offer rooms for free community meetings, on a weekday evening or weekend--to answer community questions and address our concerns.